The Heatherwood Neighborhood is located in the 80301 Zip Code, Gunbarrel area of Boulder Colorado and is home to the Heatherwood Elementary School. A typical Home in the Heatherwood Gunbarrel Neighborhood. As a prevailing theme, for families relocating to the Boulder County area and surrounding suburbs they have a lot questions regarding community, sense of neighborhood, and school quality. And as a relocation services company, Housing Helpers receives all of these questions on a regular basis. So in light of such concerns, it seems only right to choose Heatherwood Gunbarrel Boulder CO as our next neighborhood highlight. This is an area that excels in all three and is surrounded by beautiful open space to boot, leaving little that this neighborhood lacks. Heatherwood is a charming neighborhood is located just north of Boulder proper in Gunbarrel, off of 75th Street before Lookout Road. The total area of the neighborhood is just over .5 square miles, but the plethora of parks and green spaces encompassing the neighborhood make for plenty of space to roam and play. Its spot just outside of Boulder allows residents all of the comforts of a nearby urban area, without all of the hustle and bustle. There are also several big-time employers, such as IBM, Crocs, GE, and Crispin Porter right around the corner and numerous others within a short commute. At last count, the Heatherwood Gunbarrel neighborhood boasts a population of approximately 1,500 residents, which gives it a small community feel. It is not only the size and space that contributes to the close-knit neighborhood, but also the popular elementary school in the area that serves as a social focal point for youth and parents alike. Heatherwood Elementary School was rated 4 out of 5 stars by parents and has been the recipient of a number of distinguished awards since it first opened its doors. See the rating for Heatherwood Elemantary School The school emphasizes the importance of a “partnership in education” between students, staff, and parents. Given that 90% of the students live within two miles of the school, a Safe Routes to School (SRTS) committee was formed to ensure safety and increase the number of walkers and bikers to school. With funding from the Colorado Department of Transportation, Heatherwood has installed more crosswalks, sidewalks, and flashers to alert drivers of pedestrians. This program has since created a cultural change within the school and Heatherwood community as a whole. Now the school also hosts a Walk & Roll Week twice during the academic year, which provides various activities and incentives to encourage the local residents to use alternate means of transportation to help the community and the environment. From canned food donations to bike shop days, Heatherwood Elementary is dedicated to increasing the standard of living for all students and families. Two years ago, in 2011, the Heatherwood elementary school sought to further increase its inclusivity with the SRTS program by providing specially created tandems bicycles to allow children with autism the opportunity to also ride to school. This, along with a variety of other initiatives, has transformed a typical suburban neighborhood into a pro-active community dedicated to making their neighborhood a safe, healthy, and incredible place to live. If you are interested in homes in the Heatherwood neighborhood or other areas of Gunbarrel in Boulder CO, come by our office and speak with one of our rental specialists or real estate agents. The service is free and the information is priceless, so come learn about your future home in the Heatherwood neighborhood or elsewhere! This entry was posted in Gunbarrel and tagged Gunbarrel, Gunbarrel Homes, Gunbarrel Housing, Gunbarrel Relocation, Gunbarrel rentals, Gunbarrel Schools, Gunbarrell Apartments, Heatherwood Boulder CO, Heatherwood Boulder Colorado Homes, Heatherwood Elementary School, Heatherwood School District Boulder, Homes in Heatherwood Boulder, Rentals Heatherwood Boulder on March 5, 2013 by Stephanie Iannone. 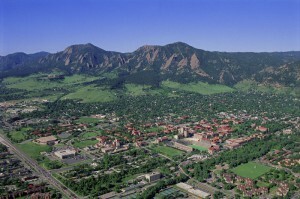 Gunbarrel Apartments | Boulder Colorado Neighborhood Spotlight! While there are certainly reasons to celebrate the famed Pearl Street Mall and the glories of downtown Boulder, there are a number of gems to be discovered just a bit further out as well. At only fifteen minutes away, Gunbarrel is one of these gems. The name of Gunbarrel derives from the most heavily trafficked stagecoach road between Longmont and Boulder in the 1800’s, and was made famous by a group of 40 men who biked the route in less than three hours in 1891. 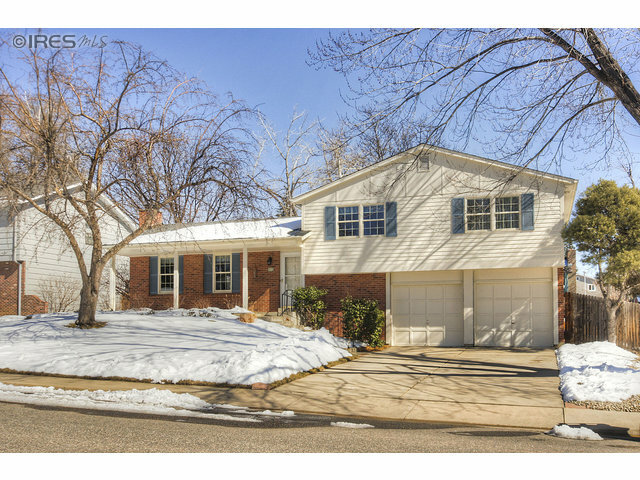 Situated just northeast of Boulder proper, Gunbarrel has plenty of worthy features. Being the home of big-name companies like Celestial Seasonings, GE, IBM, and Crispin Porter + Bogusky, the area teems with success stories and eco-conscious business practices. The classic tale of Celestial Seasonings’ beginnings, just your “average Mo” making a big change in the tea industry, is simply one of the many things that give Gunbarrel its unique edge. In addition, Gunbarrel boasts the home of the prestigious Boulder Country Club, one of the most comprehensive full-service country clubs in Colorado. Aside from its shorter-than-national-average commuter time and a higher-than-national-average employment rate, the area also has a big heart for nature lovers. Not only is Gunbarrel surrounded by open spaces, but they have also managed to make room for a number of parks within Gunbarrel for locals to stretch their legs and enjoy the outdoors. These include, but are not limited to, the Twin Lakes Open Space and Eaton Park. Now with the knowledge of what and where and wow, it’s no surprise that Gunbarrel is rapidly becoming one of the top places to live in Boulder County. Housing Helpers believes that Gunbarrel is a great place to live also, which is why we offer so many incredible properties in the area. Whether you are in the market for a condo, apartment, or a short-term rental, Housing Helpers has you- and Gunbarrel- covered. Some of the condo highlights offered in the Gunbarrel area include Country Club Greens, Hunter Creek, and Twin Lake Condos. In all of these locations, Housing Helpers has corporate apartments to suit your style, whatever the time frame. As with any of our furnished apartments options, you only need to bring your hairbrush, but can leave the stress of moving behind. For apartments, both furnished and unfurnished, Habitat Apartments offers open floor plans, a heated pool, and other great amenities while Meadow Creek Apartments provides residents with a sand volleyball court and a business center. Housing Helpers is up-to-date on the greatest specials at all of these apartment and condo communities- so before you go wondering on your own, give us a call to find you the best move-in specials in Gunbarrel! This entry was posted in Gunbarrel Apartments For Rent and tagged Boulder, Celestial Seasonings, Corporate Housing Gunbarrel, Country Club Greens, Crispin Porter, Eaton Park, Gunbarrel, Gunbarrel Homes, Gunbarrel rentals, Gunbarrell Apartments, Habitat Apartments, Meadow Creek Apartments, Twin Lake Condos on January 10, 2012 by John Iannone. By Stephanie Iannone at April 9, 2015 .